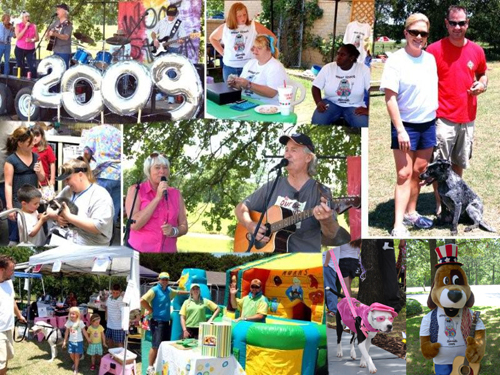 On Texas' largest donation day of the year, North Texas Giving Day, where over $33 million were donated to local non-profits, we chose to make a contribution to WoofStock Second Chance Camp in Little Elm. To be fully transparent, we are unabashedly biased. Sandy, who many of you know and love from our Customer Care team, is a volunteer there and serves on the Board of Directors. To Sandy and the WoofStock team, bottle feeding a litter of newborn puppies while their mom (who was struck by a car) undergoes surgery, is just another joyful day on the volunteer job. Trinity (the Blue Heeler mix pictured above) is this very dog. As Trinity recovered from hip surgery and an amputated limb, WoofStock's team even knew placing a kitten with her, would keep her loved and restful, while her puppies were hand reared. This is a group that truly knows and loves animals - it is awe inspiring! 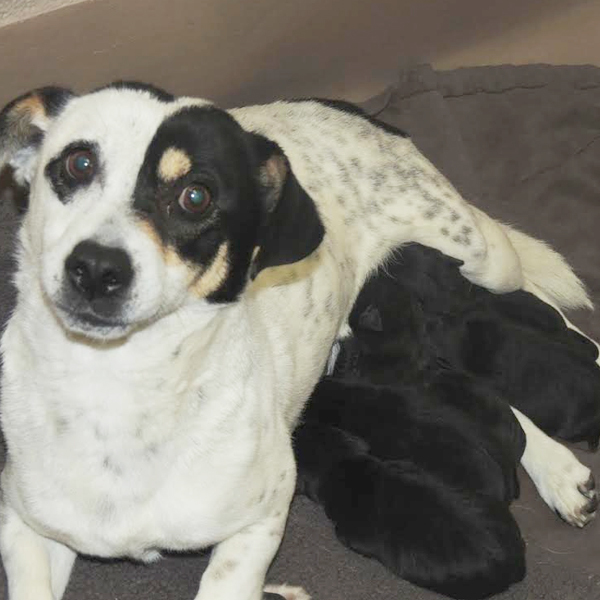 Trinity and all her puppies found forever homes with WoofStock's care and help. Our entire team at FarmHouse Fresh looks forward to Sandy's fosters. They arrive to our FHF Ranch, often unannounced because "just last night this little girl was found wandering" or "this morning I stopped traffic because he was stuck in the middle of the intersection".... We love every little bitty one of them and are mesmerized by the time and support that WoofStock members like Sandy contribute to every creature, big or small, to make sure they find the family-love of their lives. If you're ever in Little Elm, check out the super popular WoofStock Festival and fundraiser, and consider being a foster! This group loves to get shelter animals out into temporary home environments where they get to enjoy a loving family before being placed with their forever home. WoofStock 2nd Chance Camp is a registered 501(c)(3) organization, which means that all the care for their animals is based on public donations. Your purchases of FarmHouse Fresh products made a difference! If you are moved by this team's efforts, consider making a private donation.